Life can be overwhelming sometimes. We all experience pressures and problems. If that’s you then you’re not alone. 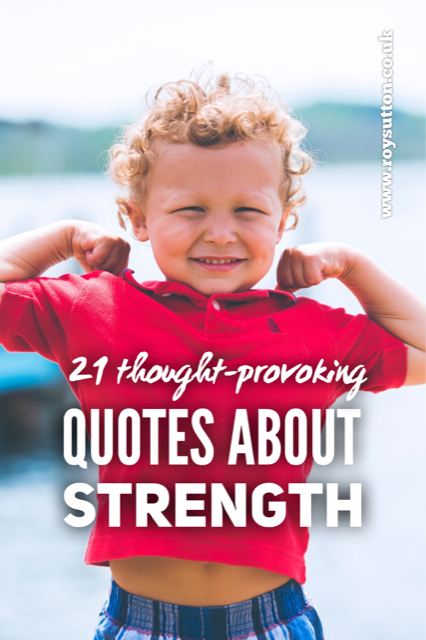 In times of trial it’s easy to feel you’re not strong enough to cope. However it is through life’s challenges that character is formed. If you can keep going through your most difficult times then you will become stronger as a result. 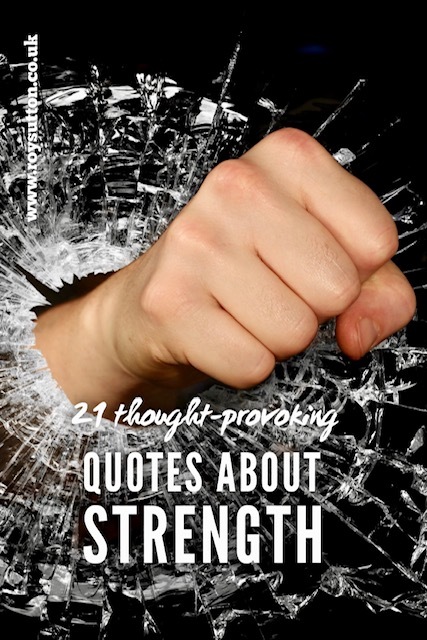 Remember this; you’re stronger than you think. You have enormous strength within you, so dig deep. Keep going and never let anything beat you. You’re as good as anyone. If others can, then you can too. 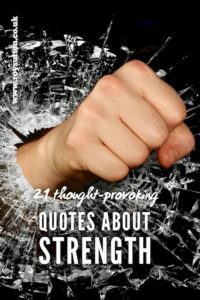 Did you find these thought-provoking quotes about strength interesting? If you did then perhaps they might interest others you know too? Please share them with your friends on social media because when you share, everyone wins. Do it now and I’ll be ever so grateful. Anyone who has ever tried to be different will know how hard it can be to be accepted by others. The human condition has a fundamental need to feel secure and people who are not a reflection of ourselves can make us feel insecure. 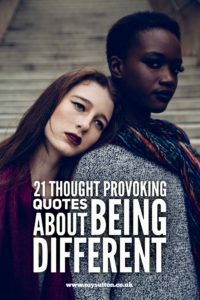 For every reader who likes to stand out in the crowd, here are 21 thought-provoking quotes about being different. 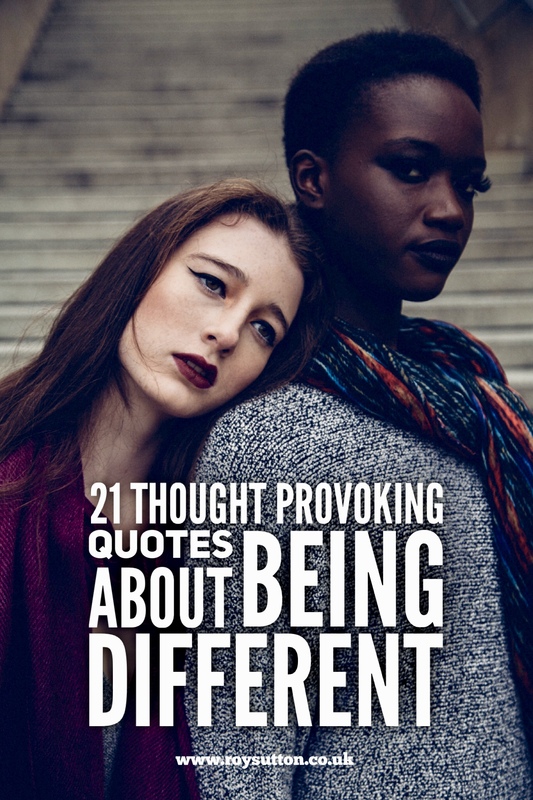 Were these thought-provoking quotes about being different interesting to you dear reader? If they were then perhaps they might interest others you know too? Please share them with your friends on social media because when you share, everyone wins. If you could share them now I would be ever so grateful. 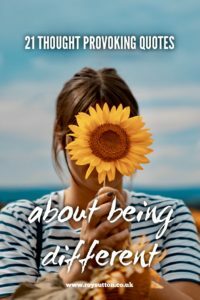 Like every blogger, I can only keep doing what I do if there are readers viewing my blog posts. So you really can help me dear reader. People; often we feel that we can’t live with them but we can’t live without them either. While they can be frustrating we are social animals, so we need people and relationships. 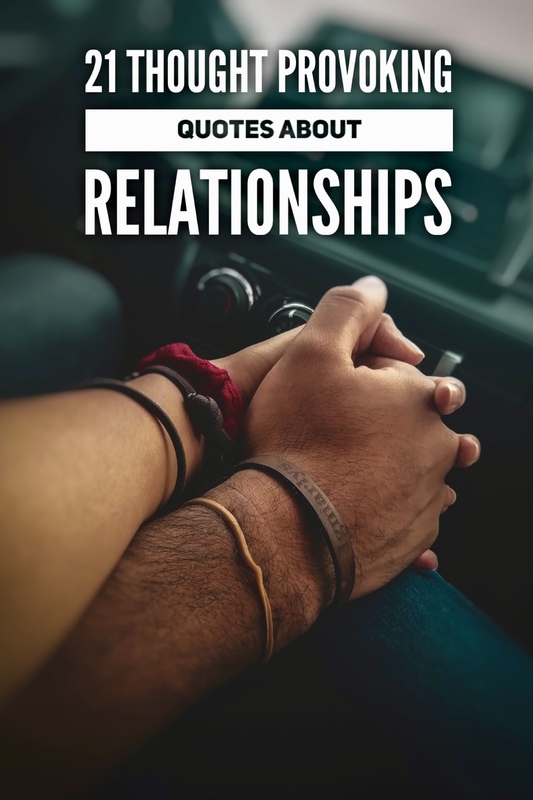 The more we understand about relationships the more likely we’ll be in a position to form and sustain successful relationships. 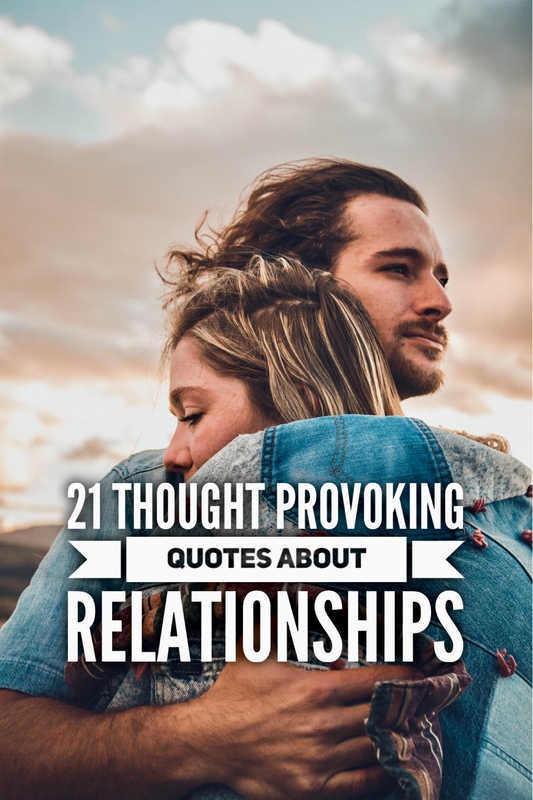 Hence today’s blog post with 21 thought-provoking quotes about relationships to help you ponder and improve your understanding of one of life’s trickier aspects. 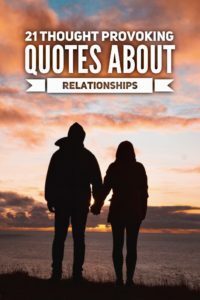 Now some people struggle to form successful relationships, whilst others seem to enjoy perfect relationships all the time. Well don’t be fooled by appearances. 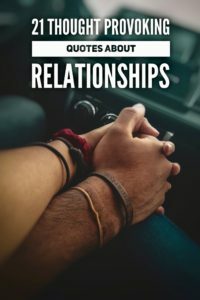 All relationships can be tricky because we all have this romantic notion about what the perfect relationship should look like. That notion may be romantic but it’s also inaccurate. Consequently relationships take time, effort and compromise. We must work at them constantly to keep them healthy and beneficial. Furthermore we must recognise that for a relationship to work it must be balanced. The dynamics within the relationship must be in equilibrium. By that I mean that within any relationship both parties must feel their needs are being met. Where the dynamic within a relationship favours one side or the other then this breeds resentment and frustration. That in turn results in friction and disharmony within the relationship, which can be damaging of course. No one can have it all their own way all the time. Compromise is essential. However compromise shouldn’t be to the point whereby you’re actively working against your own interests. It would never make sense to do anything that works against our own interests. If we don’t look after our own interests, then no one else will. 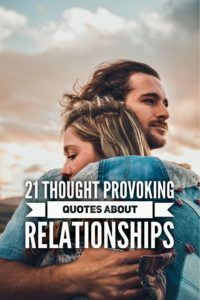 So here are those 21 thought-provoking quotes about relationships, I hope you find them interesting dear reader. 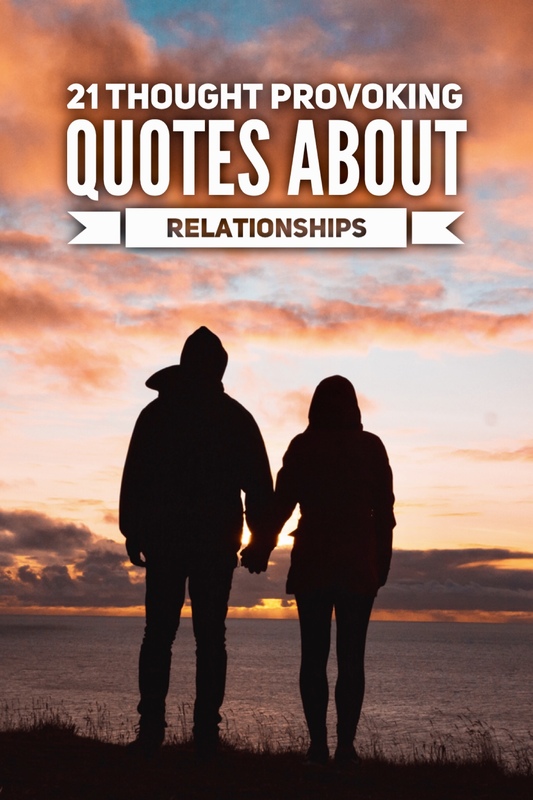 Were these thought-provoking quotes about relationships interesting to you dear reader? 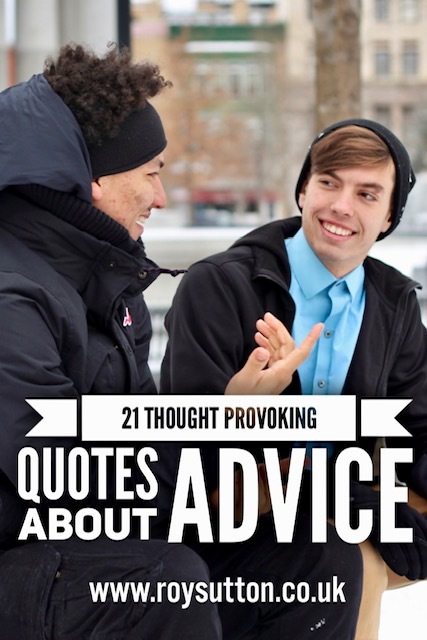 How do you feel about giving advice? 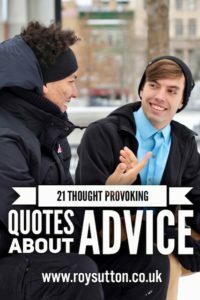 How do you feel about getting advice? If you’re anything like me then you’re much more comfortable with giving rather than getting. 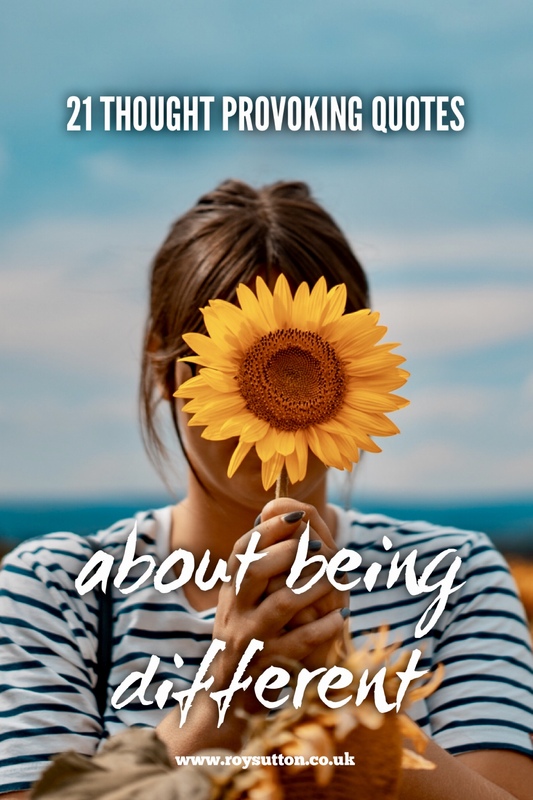 When we give advice our intentions are usually good but rarely does it come over that way to the recipient of our advice, unless it resonates with what they had in mind anyway. If you think that your reaction would be negative then perhaps you shouldn’t give that advice at all. And remember, if you much give advice then tone matters. 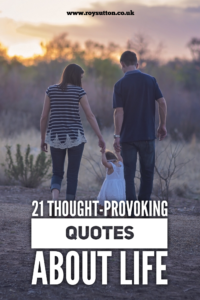 How you say something is just as important as what you say. Put yourself in the other person’s shoes and treat then as you’d like to be treated. That way your advice might have a better chance of being well received. Of course, they’re just my views dear reader. 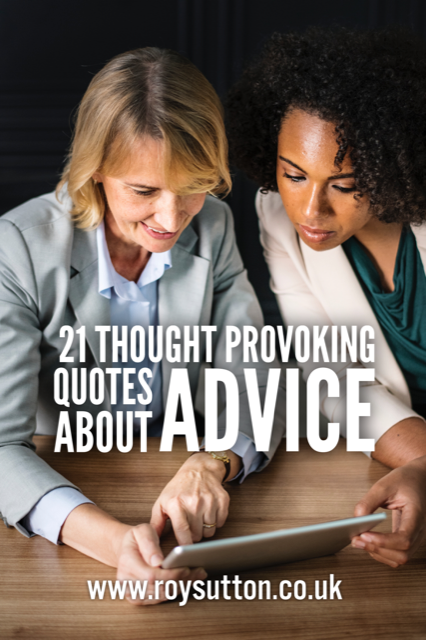 However there are plenty of people who might have different views when it comes to advice. 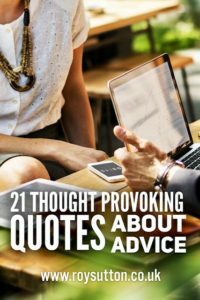 So here are 21 thought-provoking quotes about advice from the great and the good to offer you a more balanced view on the subject. Were these thought-provoking quotes about advice interesting to you dear reader? What is life really all about? That’s a question we all ask ourselves occasionally. 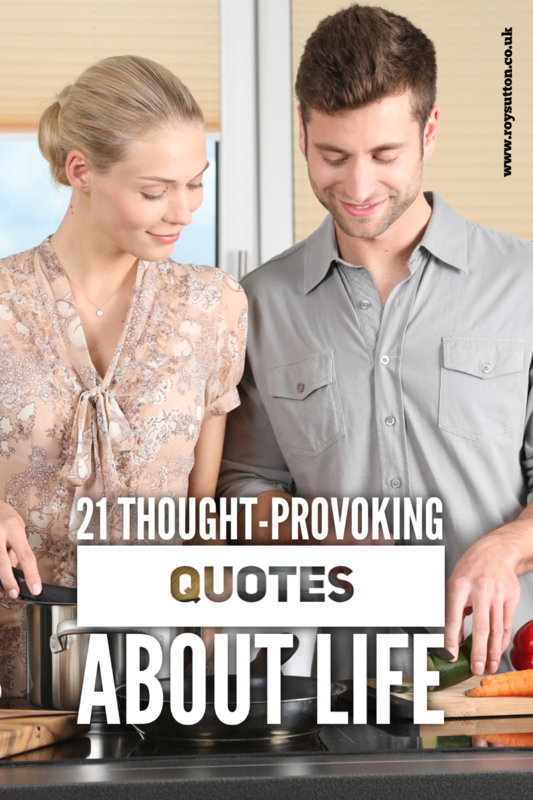 In fact we’re all searching for life’s meaning constantly it seems to me. That’s why quotes about life are so popular with people. For some people life can be very hard, whilst others appear to lead a charmed life seemingly without any problems at all. However never judge a person’s situation by first appearances. In reality, everyone has problems and challenges. Everyone struggles, at least occasionally. No one goes through life without being tested from time to time. Just because people don’t appear to have problems doesn’t mean they live lives that are problem free. However it is through life’s challenges that our characters are formed. All you can do is take a philosophical approach with life and enjoy the ride. 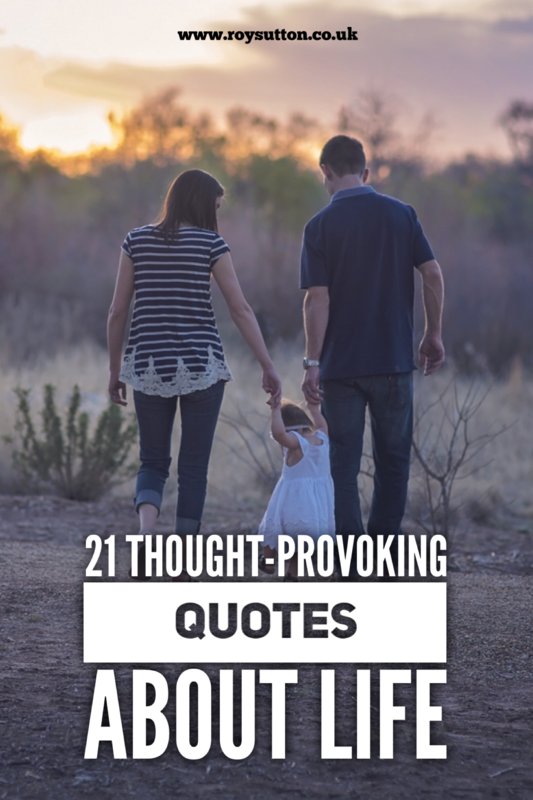 Were these thought-provoking quotes about life interesting to you dear reader?